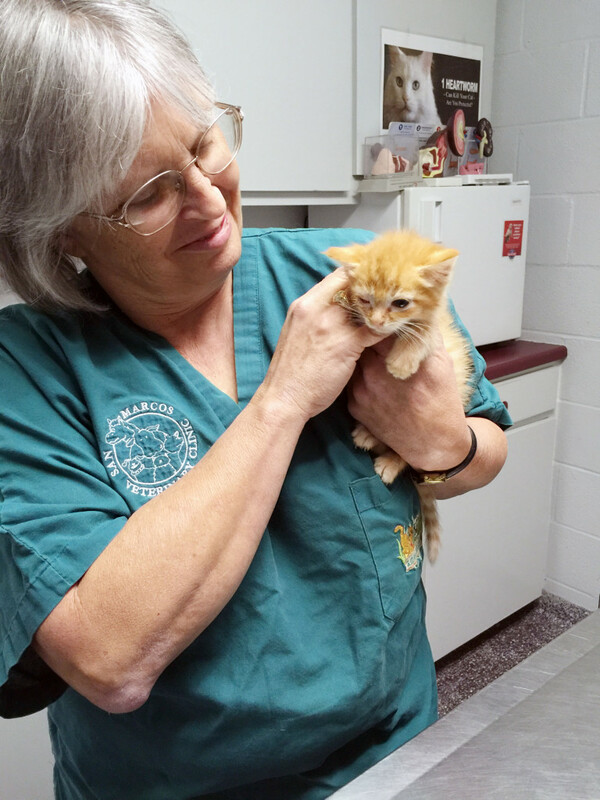 We couldn’t do it all without the help and support of the San Marcos Veterinary Clinic staff. All of us at Texas Animal Guardians (and the animals we save) are grateful for their help! Dr. Julie House shown here with Athena. Texas Animal Guardians is proud to work with San Marcos Veterinary Clinic. Dr. Julie House does an amazing job! Her staff is fantastic. And we are thankful to Dr. House for all her help, her expertise and her availability. If you have adopted a pet from Texas Animal Guardians she will already be familiar with your new family member. It only makes sense to continue their health care with a veterinarian and staff who are familiar with your new addition. For more information click on the images to visit their website.